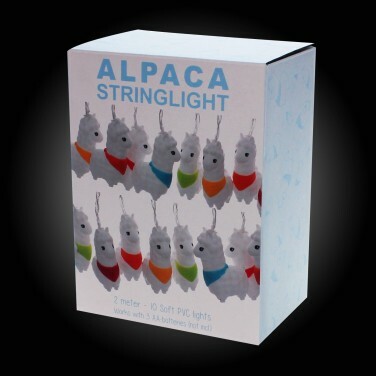 Make the dark a friendlier place for kids with a set of playful Alpaca stringlights! 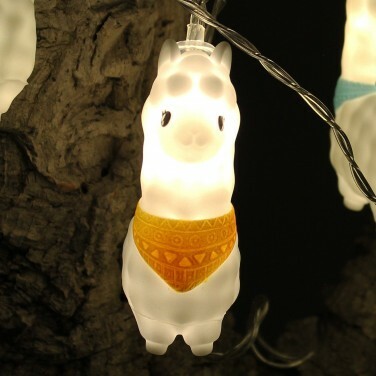 An adorable pack of Alpaca sport colourful bandannas and are lit by warm white LEDs for a warm, comforting glow. 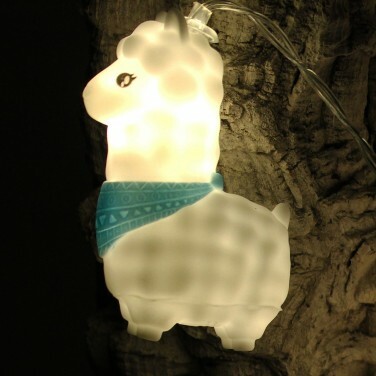 Battery operated, these soft PVC alpaca fairy lights can be placed anywhere in kids rooms as they remain cool to touch making them safe for small hands. 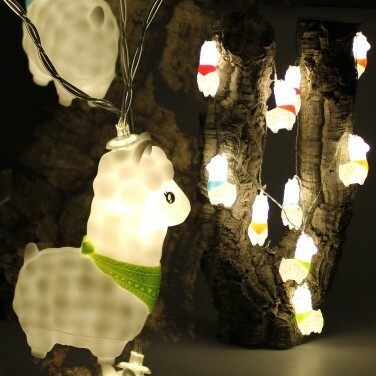 Perfect for gentle illumination that will reassure anxious little ones at night, these Alpaca stringlights add a playful feel to bedrooms and nurseries. 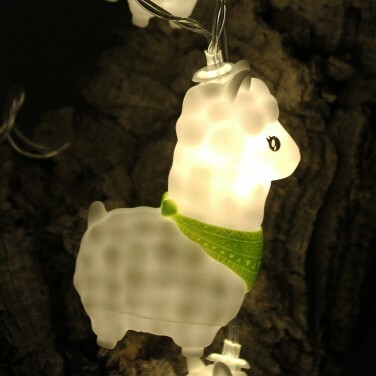 Brighten up kids rooms with super stylish origami fox string lights from House of Disaster! 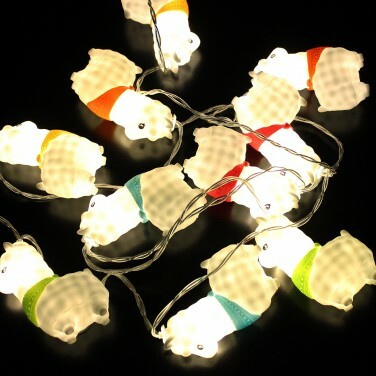 A stylish set of origami styled dinosaur lights to give your child's room a lift with light. 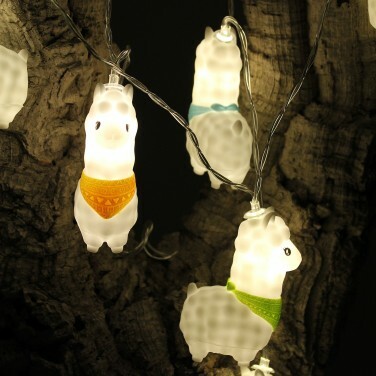 A cute and colourful set of soft and squidgy dinosaurs lit with warm white LEDs, these cute dinosaur stringlights are perfect for kids rooms and nurseries.